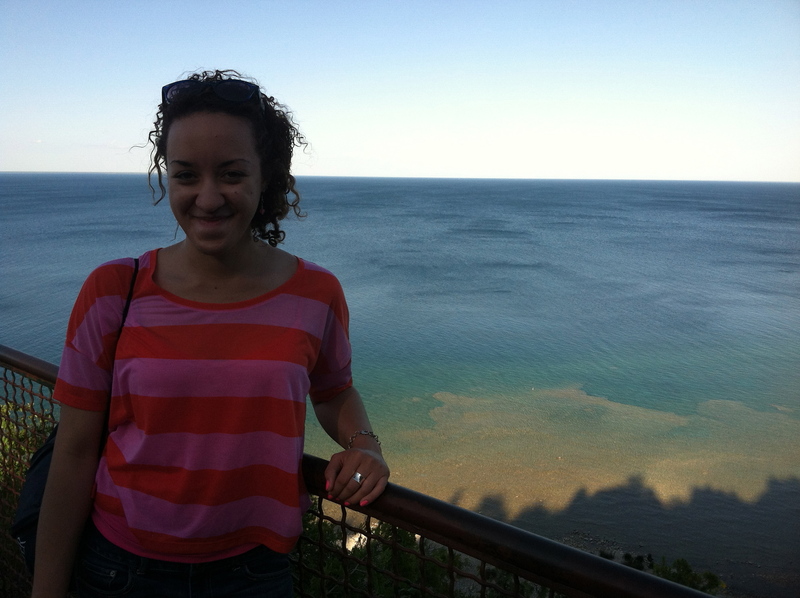 This girl has been one weary traveler who was just a tad lax on the blog front over the weekend! I hope that you had a fantastic weekend. Thanks for coming to read today! For the sake of being at least a little life-savvy, I didn’t divulge where I was headed to this weekend, but now I have all kinds of fun to fill you guys in on. This weekend’s trip took me to the distant land of Chocolate Expos. Holy. Chocolate. The fare this weekend included: chocolate-covered Twinkies, chocolate-dipped Oreos with BACON (yes, folks. The vendor just behind us was a chocolate-bacon pro. Strange combination, I wasn’t a huge fan, but my love for Oreos prevailed and I scarfed one down with due speed.) I also discovered some of the most amazing chocolate confections on this side of Paris. Let it be noted: this weekend was NOT one of fitness-filled or diet-friendly days. Thank goodness it was a WHIRLWIND tour that lasted less than two full days. Another vendor at this expo came from New York. 5th Avenue Chocolatiere. After trying a small sample of their “Signature Truffle,” I was immediately smitten. 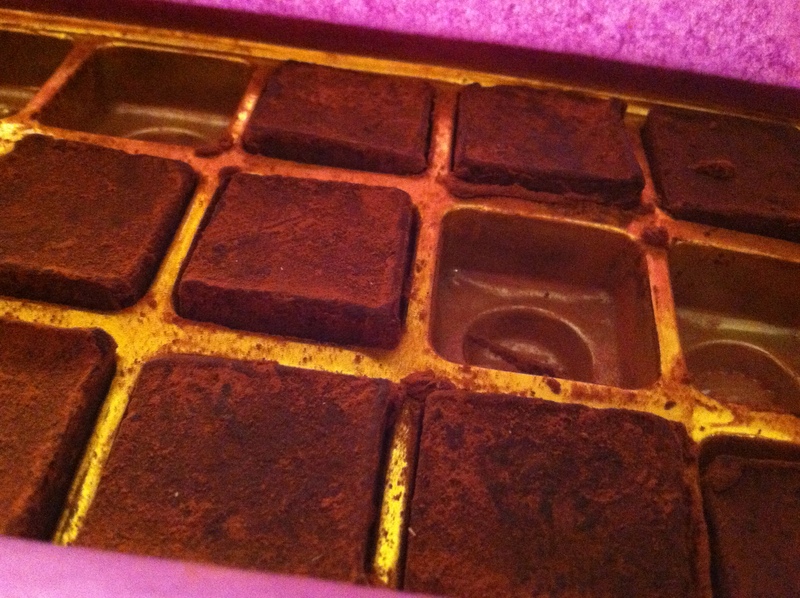 Check them out at: http://www.5thavenuechocolatiere.com/truffles/cocoa-covered/index.php. Beyond that, my weekend was filled with lots, and lots and lots of driving. 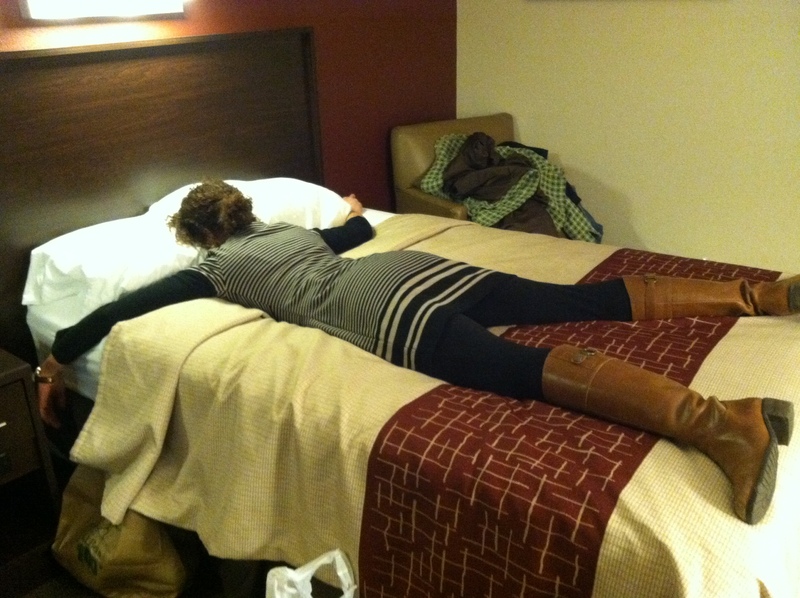 Driving and working and face-planting-on-beds-and-falling-asleep-ing. Thank goodness for free days and time off, because BOY did I need a breather today! Hello friends. 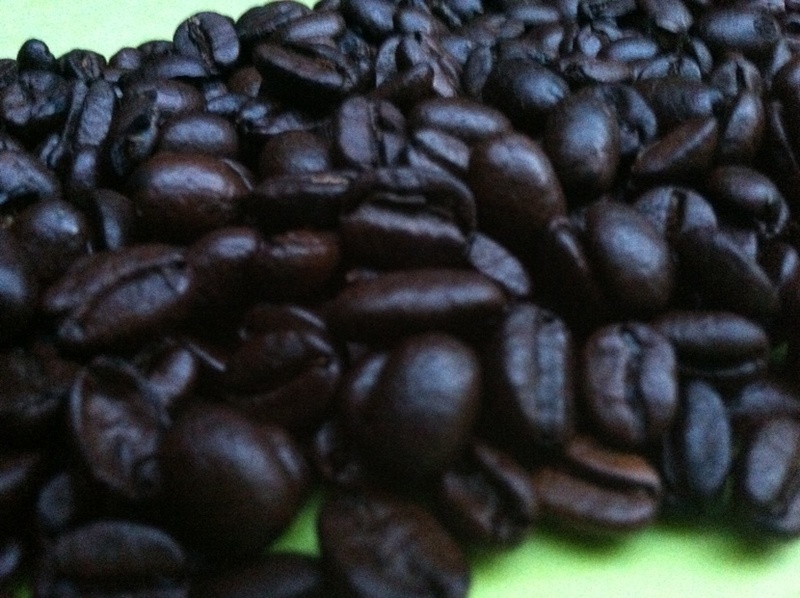 This morning was a trial and a half. Pup Pup had an appointment with the vet earrrrrly this morning and the only thing worse than not knowing exactly what’s wrong with her is seeing how much she loathes the vet’s office. I felt so, so bad and after spending a little time with her once we got home, I had to leave for work. I must say, the vet and her techs. were absolutely wonderful though. I’m SO grateful that we finally found a doggy doctor worth their salt. Workout: Anyway, Mission Workout in the Living Room continues tonight in full-force. Tonight’s at-home routine included a cardio circuit workout and my new arm workout in its entirety. Both were pretty fast and easy to do at home– it didn’t take hardly any space at all! Definitely felt like a good workout though. It took me a little while to think of a good post for today. I haven’t been doing much the past few days aside from working because of my little furry friend– I can’t bare to leave her at the house while I gallivant around town. It just doesn’t feel right. 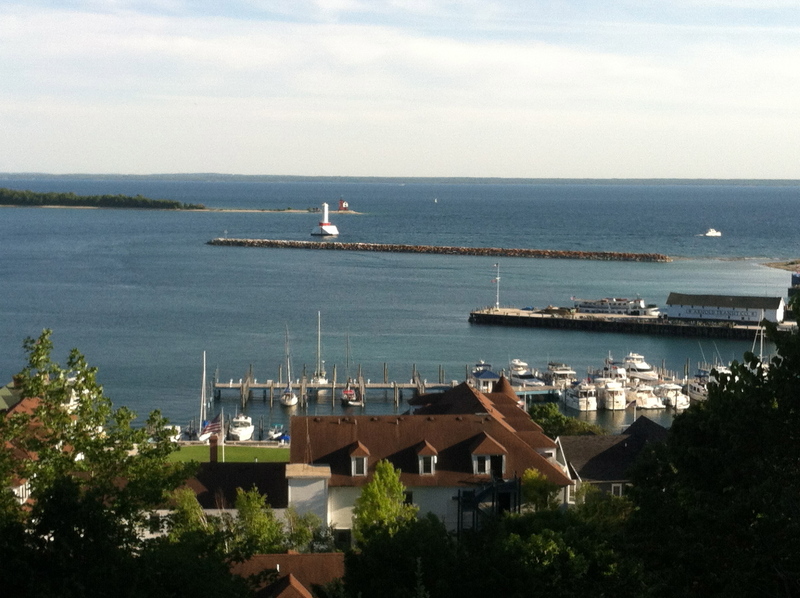 So instead, I thought I’d talk about Mackinac Island. America’s Best Kept Secret. Hopefully this will be interesting to lots of you since my day there was definitely full of fitness-y fun. Also, it is a place that should DEFINITELY go on your list of Must See Places because it is amazing. 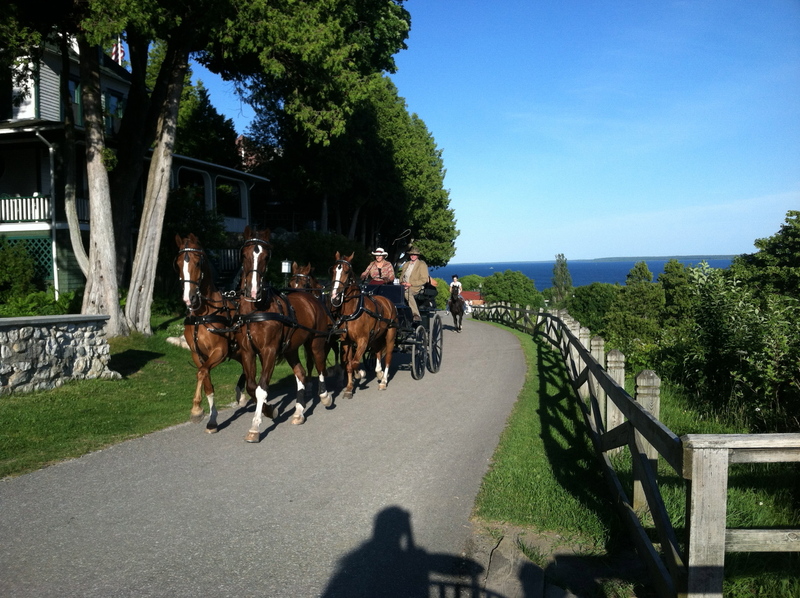 So first of all, if you have never hear of Mackinac Island, don’t be surprised– I hadn’t either. Perhaps one of the coolest things about it is that there are no cars! Not one. All travel is either by foot, bike or horse. 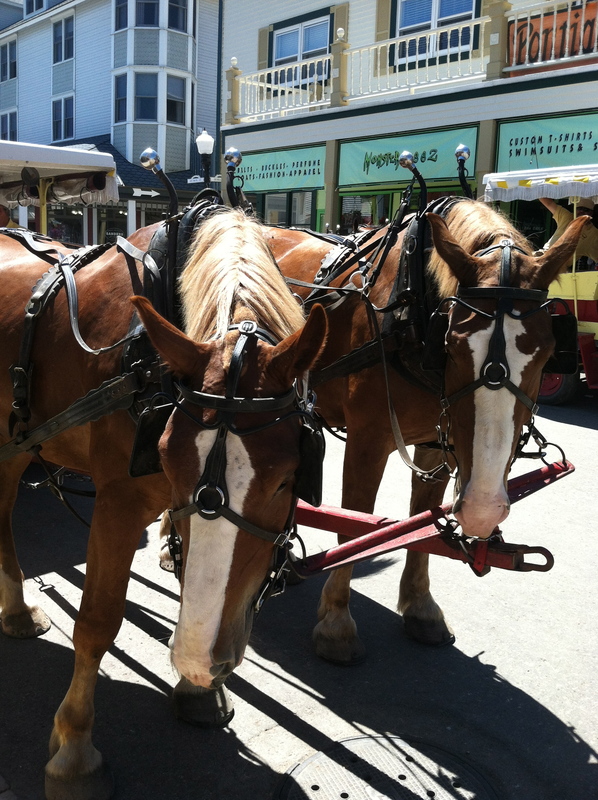 That’s right, even the mail trucks and garbage trucks were pulled by horses! When you first jump off of the ferry that takes you from the mainland to the island, all you see is an old-fashioned looking street lined with horse carriages and bicycles. So fun! 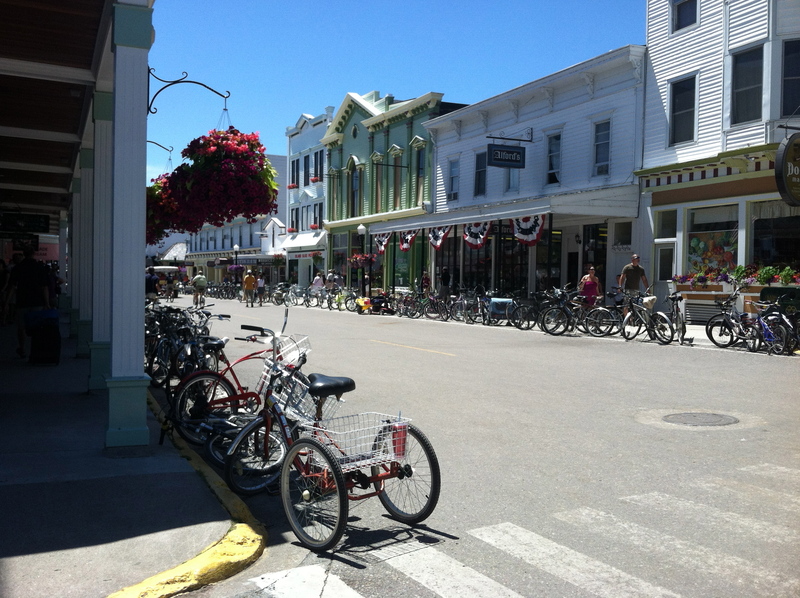 In addition to bike rental huts every 15 yards, the main street was also dotted with about 25 different candy and ice cream stores along with cute little gift shops. 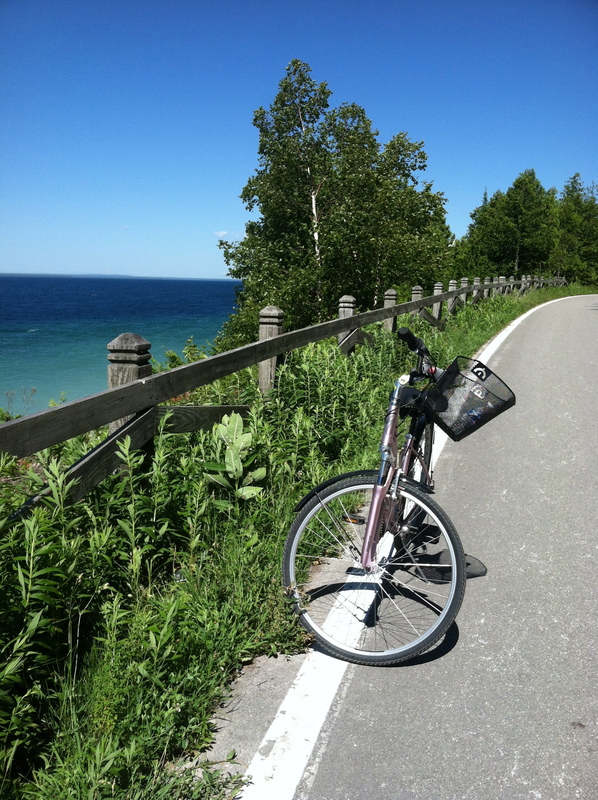 In case you haven’t figured it out yet, Mackinac is BIG on biking. 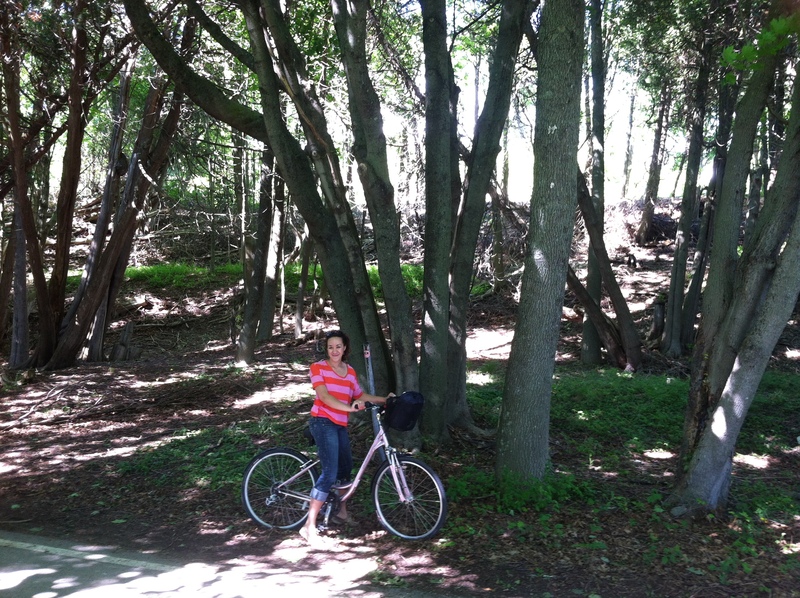 One of my favorite things we did that day was biking the perimeter of the island. After renting the BEST BIKE EVER for two hours, we decided to hit up the nation’s only bicycle-only highway. Riding around the outside of the island was about 8.5 miles and once just wasn’t enough. After one loop, we had to do it again! 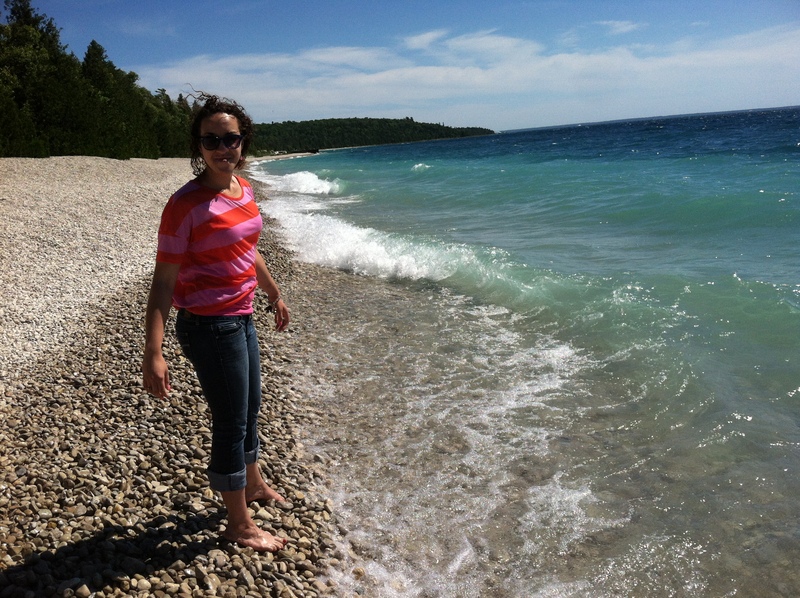 The whole trail is dotted with beautiful beaches and some of the most breath-taking views I’ve ever seen. Rocky beaches with brilliantly blue water. 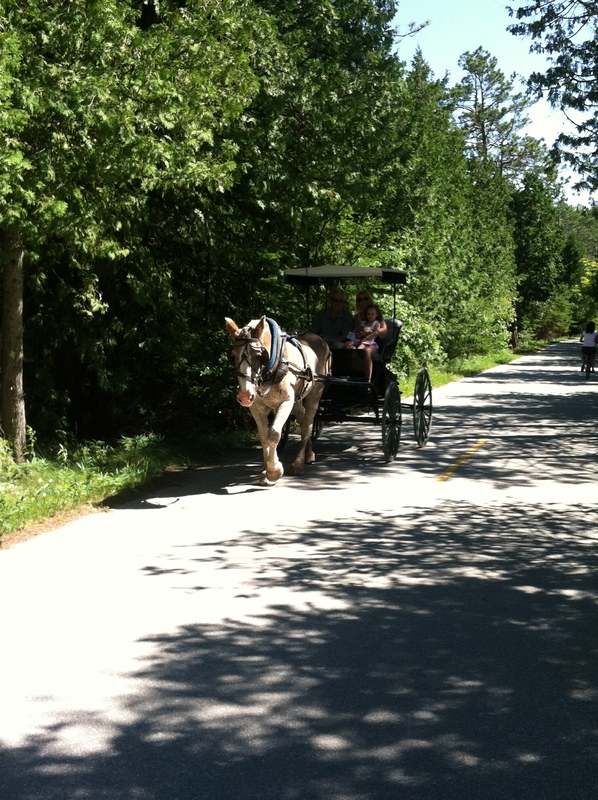 It also wasn’t at all uncommon to stroll right past a horse-drawn carriage. Spotted: Tourist Taking a Picture of the Pretty Pony. Finally, there were amazing hiking trails too! 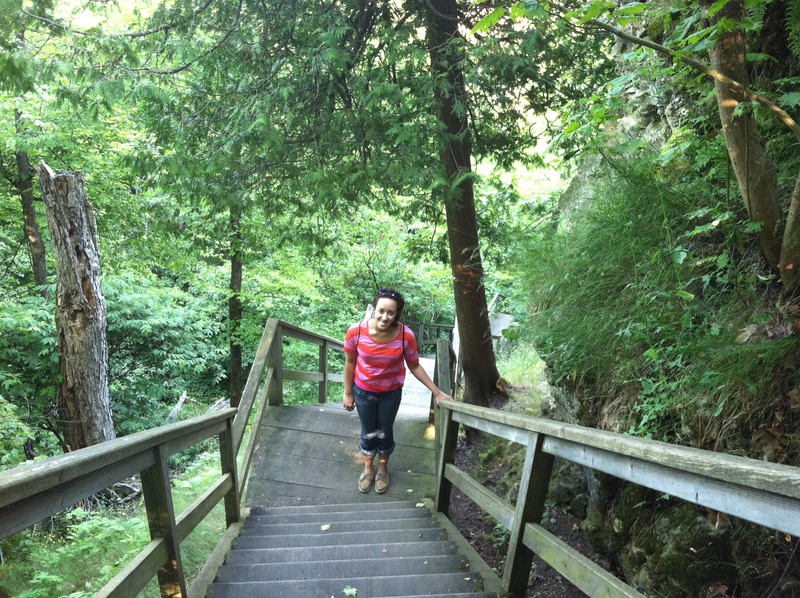 There were so many different sites to see including some nifty natural rock formations (Earth Science Geek = ME), beautiful forests and hills and also the famous Fort Mackinac that is set up in the hills of the island. Scariest stair case that I’ve EVER stood on. It was steep and old and wooden. I hate heights and steep stair cases freak me out. Terrifying, but awesome! Future Second Home = HERE. After burning about 900 calories between the biking and hiking (just ask My Fitness Pal, and that was a conservative estimate! ), we went to a nifty restaurant right on the harbor and ate a lot of risotto. 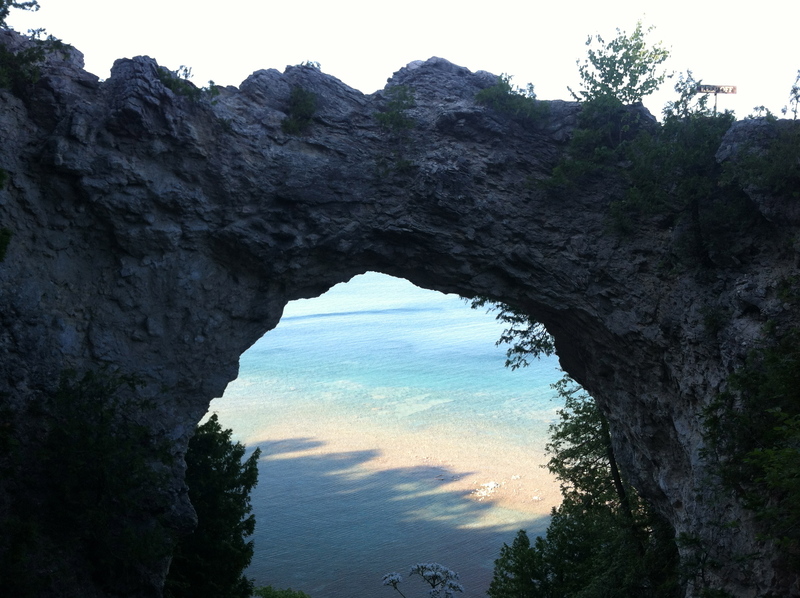 If you ever get the chance, you have to make your way to Mackinac! I plan to make another trip there sometime very soon to hit up their half marathon. How cool would that be???? ?